A stylish flat glass award suitable for presenting at a wide range of events and to reward a variety of achievements. Finely crafted in 12mm jade crystal, they feature a flat plaque in octagonal design with thick facetted edges, mounted on a 15mm bevelled glass base. These awards can be engraved on the flat front of the plaque or colour print options are also available (use Request Quote tab, above, for quote on colour print options). 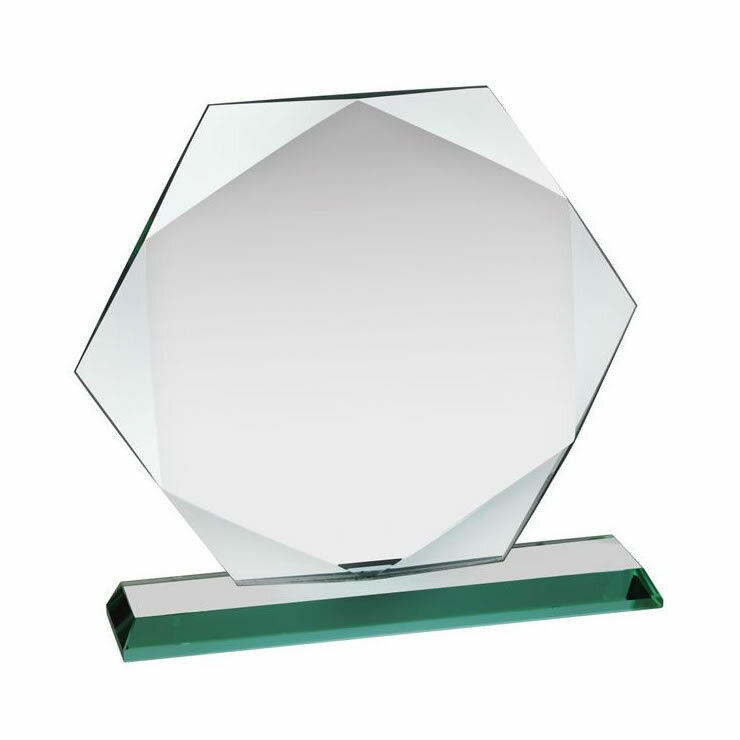 Each of these 12mm jade glass octagon awards plaques is supplied presentation boxed.